You have 60 days to try the Clear Vision Planner out. If within that 60 day period, you are not satisfied for any reason, either email us at [email protected] or complete the ‘Support’ form within our Learning Portal. Give us unto 48 hours Monday through Friday to process your cancelation (excluding US or Slovene holidays). We will email you to confirm once your cancelation is processed. Then give the banking systems up to 7 business days to re-deposit the funds back to your original payment method. Once cancellation happens, you will no longer receive access to the Learning Portal or Facebook Group. We, The Visionary Planner, collect your information and can be contacted anytime at [email protected] All of our data use, terms, and privacy information can be found at https://www.thevisionaryplanner.com/pages/terms. You can lodge any complaints with us via that same email, or request to be removed from our email lists, phone lists, or advertising targeting, too. When you submit information to us, The Visionary Planner, we use it in an ongoing nature to ensure you receive the information or purchases you've made with us, to deliver relevant future content via our email newsletters, to track how much you use our sties or services, and to make future offers through our company or any other company that is involved in delivering your purchases, bonuses or content. By giving us your contact information now, you are granting us the right to contact you in the future in any manner necessary at our discretion for ongoing personal and professional development. When you become a customer through our sites, you provide your phone number to us and we may use your phone number to confirm orders, deliver promised ongoing training or communication, and to send text updates, promotions, videos, audios, or messages related to The Visionary Planner or any of its brands or programs. You can opt-out of receiving any future text messages by simply replying to any of our text messages at any time with the word STOP. By signing up for our products or programs you hereby grant us permission to text you until you reply STOP. We do not ever sell or rent your phone number and we only communicate with you regarding relevant The Visionary Planner programs. We rarely share your information with any other company unless it is necessary to deliver your purchases or content. As an example, if you purchase certain courses from us, you may receive a bonus coaching session or group coaching session as part of your offer/purchase which is delivered by a third-party company co-owned by us, Vito la Fata, Mike L. Murphy, M.L.Murphy Productions or 308 Publishing INC. In that case, to deliver that coaching product or bonus, we share your information with our other companies so we/they can contact you to schedule that coaching call(s) you received as part of your purchase. At any time, you can contact us and request not to share your information with such service providers, but you may lose access to certain purchase bonuses or items if you do not allow the delivering third-party to contact you. Want to get 100% clarity on how to get started online? 68% of our best students upgrade to add the Online Business Blueprint™ to their order. It gets you total clarity on the 8 steps to building a profitable online business (including branding, website, courses, marketing and more). Regular Price: $297. Today: Just $47. The #1 problem business owners face is trying to do too many things and burning out! This online course and coaching system will get you to define your goals so all your actions pay off! Stop spinning your wheels, doubting yourself and feeling exhausted! No fluff, 100% actionable! Access online at anytime. 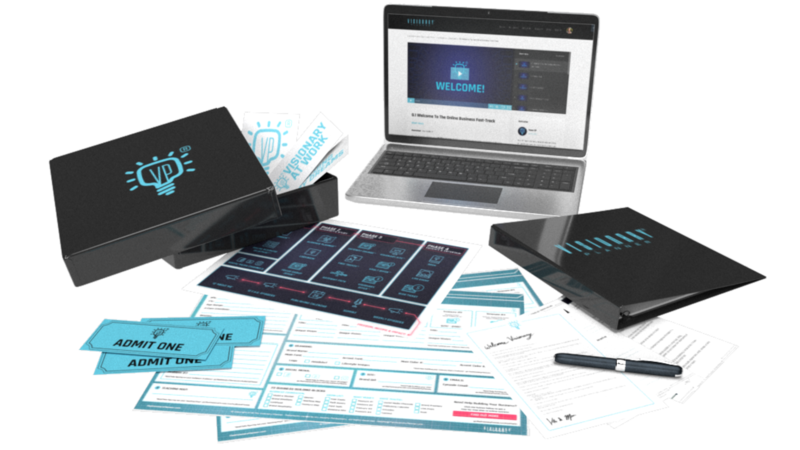 Our exclusive 7 Day Coaching System that helps you get clear on your action steps to build an online ‘recurring revenue machine’. This worksheet and ‘Vision Board’ will guide you towards setting clear, and realistic goals that your online business will help you hit and help you identify the online revenue streams that can 10x your income. This mini-course will help you lock down what ‘niche’ is best for you. The niches are in the riches you just need to know which one. So if you’re unsure of what type of business to head into, this is sure to get you on track! Jump inside this group to feel support from your fellow Visionaries, and Coaches! You’ll be just one screen away from getting the clarity and camaraderie you deserve. We have daily posts that help you engage the online content so social learning is increased and feedback is provided. 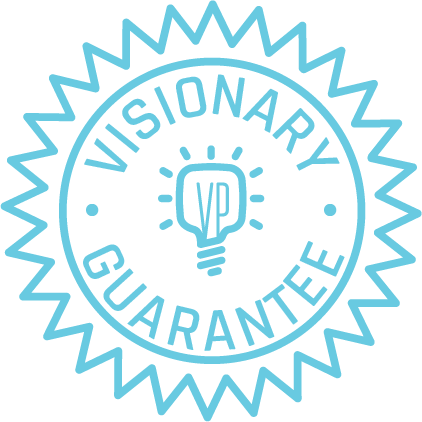 As a Clear Vision Planner Member, you’ll get 2 Mastermind calls with Vito. These calls with help keep you on track, and fired up! You’ll be able to have a private, and confidential session with one of our VP Coaches. They’ll answer your questions, help overcome any mental roadblocks and get you crystal clear on your next steps to build your recurring revenue machine. Get a clear vision now so building your online business can be a joy! Try it out for 60 days. If you don't feel it helped you get clear on your next steps in growing your business, then we'll issue you a full and prompt refund. Just 3 x $99. Get started instantly!